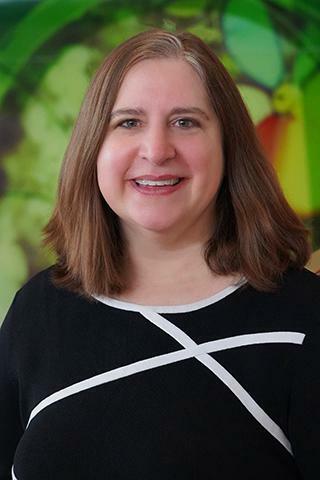 Dr. Rand is a general pediatrician and health services researcher who focuses on providing preventive care to pediatric patients in Rochester. Her interests include adolescent preventive care and immunization delivery, as well as quality improvement. Dr. Rand is a health services researcher who focuses on improving preventive services and delivery of immunization for urban adolescents. Dr. Rand assists with implementation of the Patient-Centered Medical Home (PCMH) initiative in the Strong Pediatric Practice and also teaches resident training in QI at URMC, giving workshops and assisting residents with QI projects. Dr. Rand also serves as a teacher and mentor to residents in the pediatric continuity clinic, and is Co-Director of the General Academic Pediatrics Fellowship at the University of Rochester. Dr. Rand is a general academic pediatrician and health services researcher at the University of Rochester School of Medicine & Dentistry, where she co-directs of the Academic General Pediatrics Fellowship. Her research experience combines expertise in adolescent immunization and preventive services delivery, quality improvement, and health informatics. She has been funded by the Centers for Disease Control and Prevention (CDC), Society for Adolescent Health and Medicine (SAHM), Agency for Healthcare Research and Quality (AHRQ) and NIH to improve immunization rates for adolescents. She is currently Co-PI of a multi-center project, funded by the CDC, to improve HPV vaccination rates using QI methods in residency clinics and private practices nationwide. Over 100 practices have participated in the project and made significant improvements in HPV immunization rates. In addition, she supervises residents and sees her own patients in a busy pediatric continuity clinic which provides the context for her translational research. Dr. Rand is involved nationally in the American Cancer Society HPV Vaccine Roundtable, and currently serves as co-chair of the New York State HPV Vaccine Coalition. Szilagyi PG, Schaffer S, Rand CM, Goldstein NPN, Hightower AD, Younge M, Eagan A, Blumkin A, Albertin CS, DiBitetto K, Concannon C, Vincelli P, Yoo BK, Humiston SG. "Impact of elementary school-located influenza vaccinations: A stepped wedge trial across a community." Vaccine.. 2018 May 11; 36(20):2861-2869. Epub 2018 Apr 17. Rand CM, Schaffer SJ, Dhepyasuwan N, Blumkin A, Albertin C, Serwint JR, Darden PM, Humiston SG, Mann KJ, Stratbucker W, Szilagyi PG. "Provider Communication, Prompts, and Feedback to Improve HPV Vaccination Rates in Resident Clinics." Pediatrics.. 2018 Apr 0; 141(4)Epub 2018 Mar 14.